Please find below a list of the major new features, improvements and bug fixes in the AODocs Smartbar version 4.0. 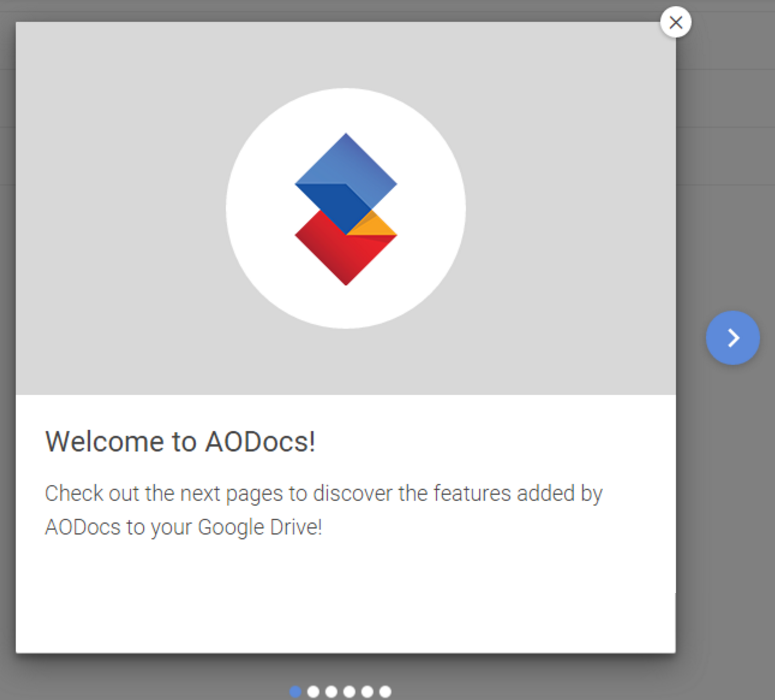 We are pleased to announce that the most important Document Management features of AODocs are now available in the Google Drive user interface: viewing/editing document properties and workflow validation. 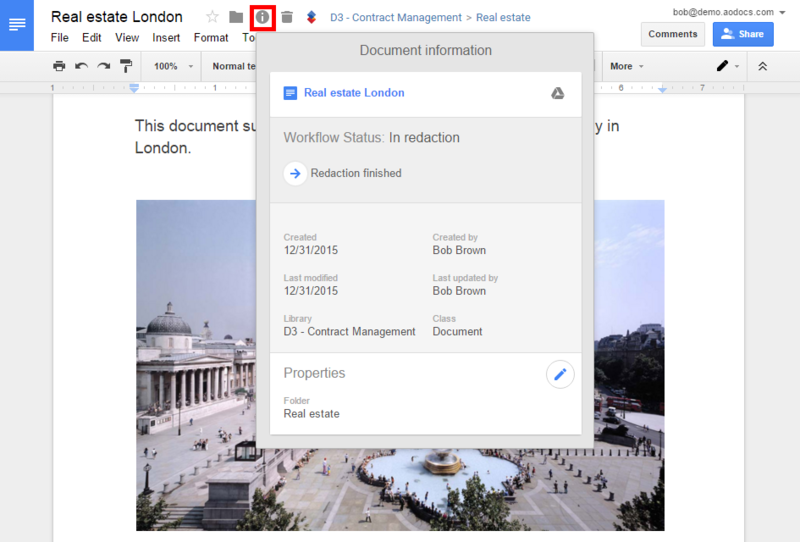 It is now possible to access and edit the document properties directly from the Google Drive interface. If custom properties are configured on a Team or Secured Folder, a new inline button will appear in the Drive document list. Clicking on this button will open a new dialog with the document properties. In the popup window, the “edit” button will allow you to edit the values of those properties. This feature is available for the Google Sheets, Docs and Slides as well. You can now validate documents directly from the Google Drive UI. If a workflow is configured on a Team (or Secured) Folder, a new button will appear next to the “search in folder” button. By clicking on this button you will be able to list all the documents you have to act on in the library. The document validation is also available if you open the document properties (from the document list or from the Google editor). Library administrators can now add, modify or remove document properties from the Google Drive UI. After a new library is created, a redesigned pop-up will appear for library admins. We have completely rebuilt the way the Smartbar is caching its data in the browser. There is no visible change for the users, but it dramatically improves performance when several tabs are open on Drive and Google Editors.